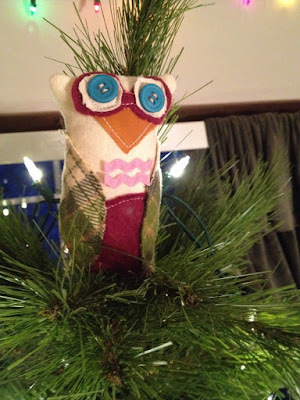 My crafty, creative life is full of experimentation and trying new things. Along the way, I've had my share of screw-ups and mistakes. But when something doesn't come out quite like you had planned, all you can do is laugh at yourself and try again, or decide it's just not your thing. There are many reasons for crafting failures. It may be the result of inexperience. Or we get over-excited with an ambitious project, only to find ourselves in over our heads later on. Or we overestimate our own skills and/or underestimate the time investment required. We get lazy, bored, impatient, and frustrated. As a result, we might put things on hold, or try to take shortcuts, or give up altogether. I think us crafters all get a little starry-eyed while browsing the picture-perfect projects in magazines, blogs, Pinterest, and cookbooks, imagining all the wonderful things we will make. And a lot of the time, we are successful, which is why we keep going. But other times...not so much. And just to show you how imperfect I am, let me share with you some of my more entertaining fails. 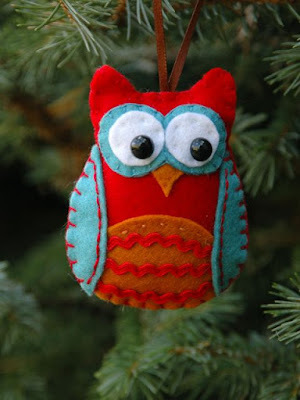 This is an owl Christmas ornament I found on Pinterest. If you're familiar with my work, you know I have an affinity for florals. One day, I had this wonderful idea in my head to create a beautiful floral pie crust design. I painstakingly cut out and arranged little flowers and leaves out of dough. It looked beautiful. Unfortunately, it all melted into an unrecognizable glob in the oven. It still tasted good, though, which I guess is what really matters in the end. This is a sweater I've been knitting. You might be thinking that it looks quite lovely, what's wrong with it? Well, I've been knitting on it for YEARS now with no end in sight. This is a perfect example of giving up on a project due to a short attention span—a weakness of mine. And here is a pile of some other projects I've started and never finished. Maybe one day... Or not. Not to mention the countless other projects that I've started and given up on entirely. Speaking of unfinished projects, this is a denim quilt I started years ago. After cutting out all the pieces and sewing just a few squares, I decided I wasn't much of a fan of quilting. Probably because I really had no idea what I was doing. So here it lies, in pieces. And this is yet another knitting fail. I created a vest pattern, charted the design, and knit the back. Then I knit the front and noticed that the pieces weren't matching up. It was then I realized that I had knit the front with the chart upside down. *Sigh. * No one will notice, right? That is, when I finish it, anyway. That's right—it's still not done. And then there was that time when I wanted to create a pretty hand-lettered chalkboard design for Thanksgiving and forgot how to spell. I was sure "thanful" it was just chalk—an easy-to-fix mistake. A lot of people like to say that failures are just opportunities to learn, and I agree. Crafting failures aren't really that big a deal. In the end, you at least have a little more experience and a funny story to tell. And hopefully you enjoyed the process along the way. And if not, well, now you know.